Healthy Vending Machine Snacks and Drinks is the new trend, and a great way to fight obesity. 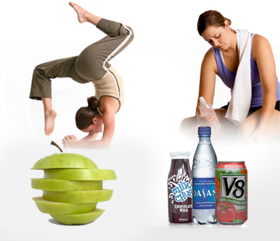 Most employees are looking now for these products to maintain a healthy life style. Vending Machine Services in Miami, Ft Lauderdale and South Florida. Apex Vending Machines offers you Great Products at Great prices, such as Beverages, Coffe, Snacks, Pastries and Food Items. Read more about Vending Machine Services in Miami, Ft Lauderdale and South Florida. Our Customers are the most important to us , so we are specializing to serve you better . Given that it seemed of great interest to us today , healthy food should be promoted. We have a new line of healthy products. Today the machines are very practical for any time of food as there are those who have little time for lunch or a snack, prefer using products that offer vending machines , so take less time and more important for satisfying your hunger. Having clarified the above information , could confirmed that when it comes to choosing which foods to eat , large percentage of people looking for a product that is not harmful to their health , containing few Calories , not contega Trans Fat , among others chemicals that are considered to harmful for the health. 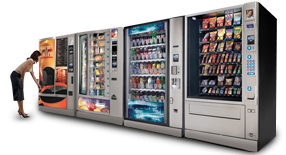 Therefore our company offers an extensive line of healthy products to for your vending and in addition to that we offer a complete service when you fill your machine vending machine.